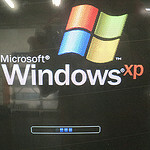 Is It Now Time To Call Time On Windows XP? Home→Recommended Software→Windows XP – RIP? ← What Should I Look For When Buying A Laptop? With the end of support for Windows XP now past, is it time to call time on arguably the most popular windows edition ever? What is certainly true is that XP was one of my own favourite operating systems and latterly it was my “go to” operating system if a piece of hardware wasn’t functioning as it should since there would almost certainly be an XP driver for it. Everything seemed to run on XP. In other words it just worked. However, in the end it was really beginning to show its age and vulnerabilities just seemed to be getting more common. Whether this was by design or not is ultimately conjecture but, what is clear, is that with the advent of 64 Bit operating systems such as Vista and, more commonly now, Windows7, the fact is that Windows XP’s days became well and truly numbered. The truth is that although there was a 64 Bit version of XP, it never caught on and there were a lot of hardware driver issues, 64 Bit Vista was a little bit better driver wise but Windows7 64 Bit became the default version of Windows to be installed on new OEM PCs. For myself, I moved my main PC to Windows7 four or five years ago and haven’t regretted it one bit. Windows7 is stable and reliable and will also run older software in compatibility mode. This really made XP obsolete and since then there has been no real reason to install XP on any new computer. The problem now is that, since there are no more security patches to be released, XP will become more susceptible to hacker attacks which will remain unpatched. There are a number of Linux distributions, or versions, each one geared to a slightly different user. For the ordinary user doing emails, browsing and some office work, Linux Mint is a fantastic operating system that is easy to learn and easy to use. Of course there will be a learning curve, as there is with all new software but the reality is that given the option of Linux Mint and Windows8 or 8.1, there is no contest. For an ordinary user moving from XP, the transition to Linux Mint is, in my view, far more straightforward than the transition to Windows8. Another thing to bear in mind is that Linux doesn’t use a great deal of resources so will often run on old hardware without much persuasion. This makes it ideal for getting a bit more life out of an otherwise serviceable computer. The other major plus point for users is that ALL Linux distributions and the vast bulk of software for Linux is freely downloadable at zero cost. Costs only come into the mix if the user needs a support contract or has some particular need that is outside the realm of ordinary use. To all intents and purposes, as far as the ordinary user is concerned, the operating system and all the software, with only a few specialised exceptions, you need is free. That, alone, makes a Linux option worth considering. So, to sum up, the demise of XP isn’t the end of everything. There are numerous alternatives and, at the end of the day, the final decision is yours. I hope that this article has given you some food for thought. Feel free to add a comment and give your own view.